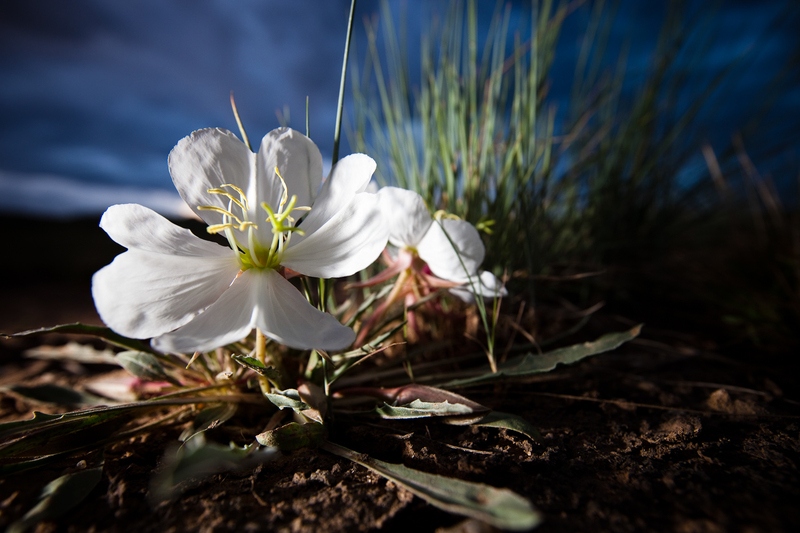 When the sun sets over Wyoming's Red Desert, that's the cue for the evening primrose (Oenothera macrocarpa) to spread its petals wide to attract special night-loving insects. Come morning the flowers will have closed and turned pink, signalling the end of this flower's cycle. Photo taken July 2010.